It was inspired by Shas&#39;El Tael&#39;s Stealth Pattern Crisis.. I didn&#39;t want to copy the parts 1:1 so I kept some parts of the original kit. 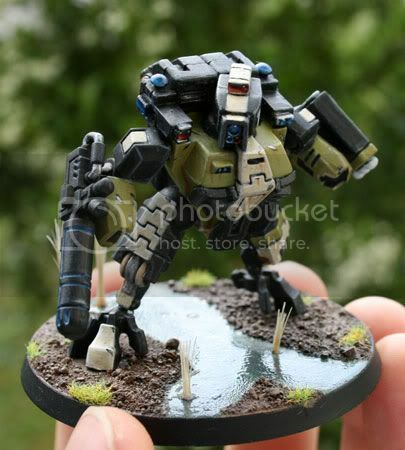 Good clean paint job with nice highlights, and that base is awesome! Anyway, the model itself is splendid. I know I say that about almost everything I comment on, but that&#39;s only because I don&#39;t comment at all on the models I don&#39;t like...leastwise not to say anything complementary; just how they might improve. The pose is excellent, the lenses are very nice, the battle damage is pretty good (although you&#39;d get a less two-dimentional effect if you actually took a scalpel to your models), the rust stains are great, but the base...wow. The base is absolutely fantastic, I love it. 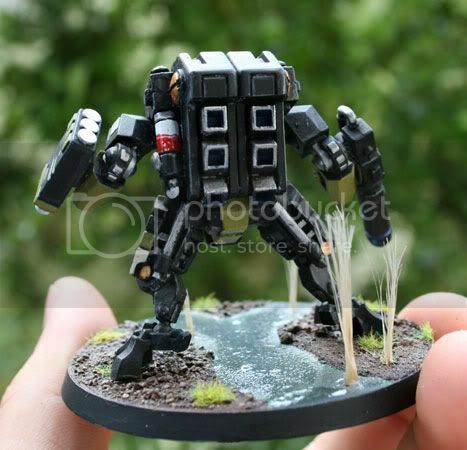 This is a great mini, nice job. Yep, I&#39;ll second pretty much everything Tom said. Pics are good. The lenses are nice and the base is incredible. 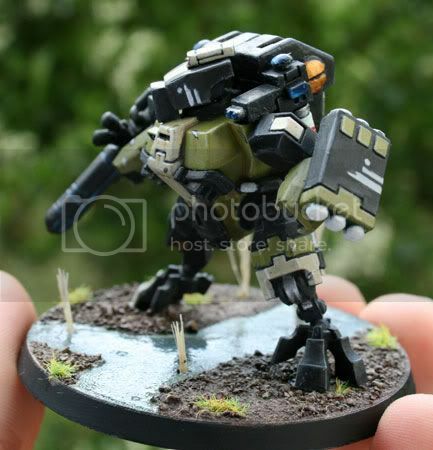 It&#39;s very good to see someone finish the base - especially to this level of quality. well the picture was taken with my new Digital SLR.. Could be the quality of the new camera that makes the picture stand out for you.. The thing I was referring to was the coloured background I usually use on my models.. My fingers on the picture are also not the best..I&#39;m nit-picky when it comes to photography.. Very nice base. The whole model in general looks very good. Wow, these things are popping up everywhere! Looks very nice. Nice scheme. And as Tom said, great base. How did you solve the jet pack to body body issue? The shoulders look like flamers, but did you do something to mask the connection? Could we get some pics? It seems like everyone has a different solution to the problem! 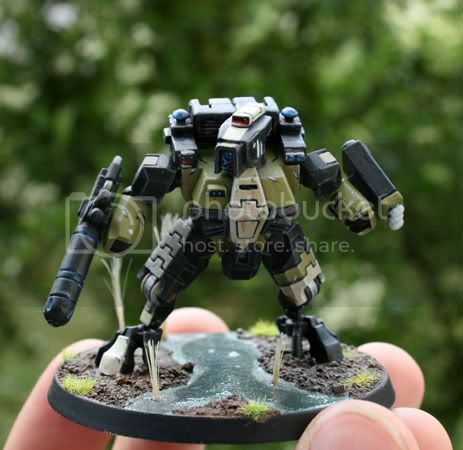 Very solid paint job, and nice base to go with it. Bravo, it will be a splended model to join your force.